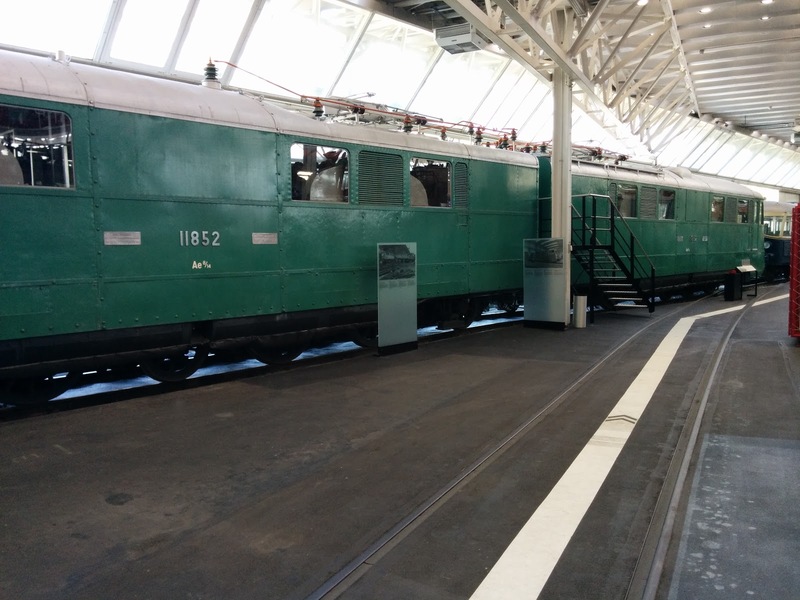 Switzerland started electrification of their railways much earlier than the rest of Europe, so not surprisingly there is a wide selection of early heavy electric locomotives at the Verkehrshaus. 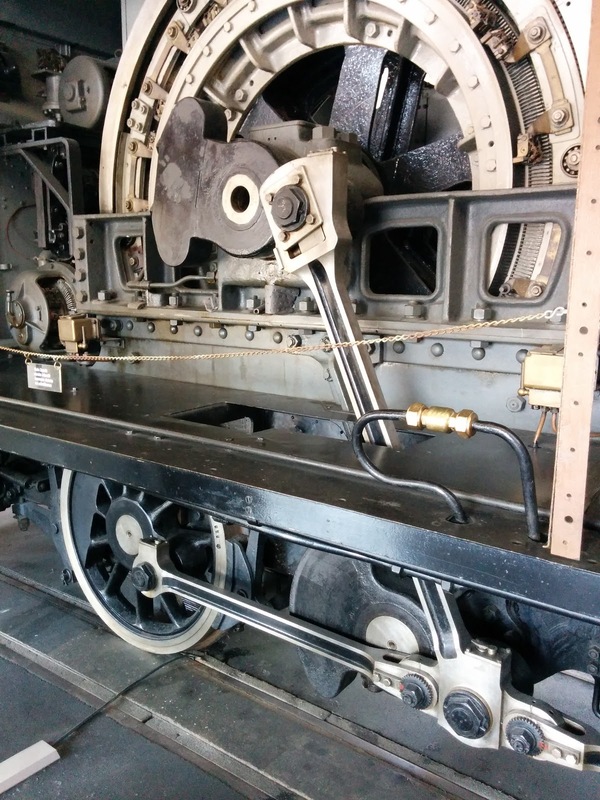 This early generation electric switcher locomotive used a single, large electric motor which is connected directly to the side rods by a diagonal rod. 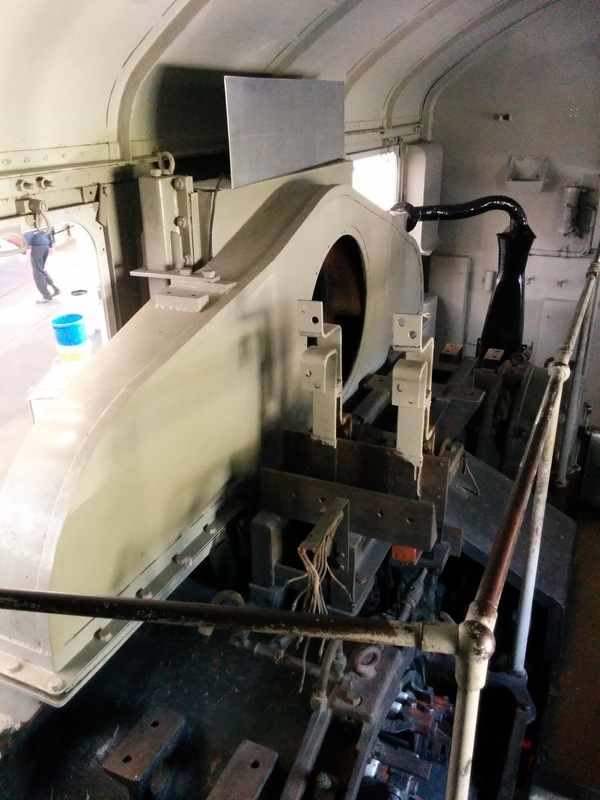 Notice the various counter weights on the axles. A few years later, when the Ce6/8 II was built, technology had advanced quite a bit. 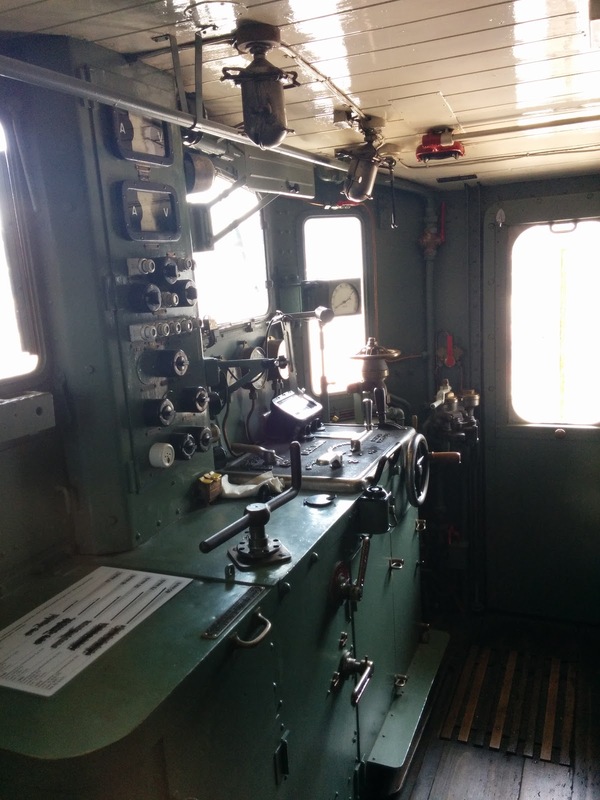 The heaviest part of an electric locomotive is the transformer used for conversion of catenary voltage to something more agreeable for the electric traction motors. In the "Crocodile" design the transformer sits on the bridge frame in the middle of the locomotive, while the motors and supporting electric are in the narrow hoods whose trucks are short-coupled under the bridge frame.This arrangement contributes to the Crocodiles excellent ability to navigate tight curves in the Swiss mountains. 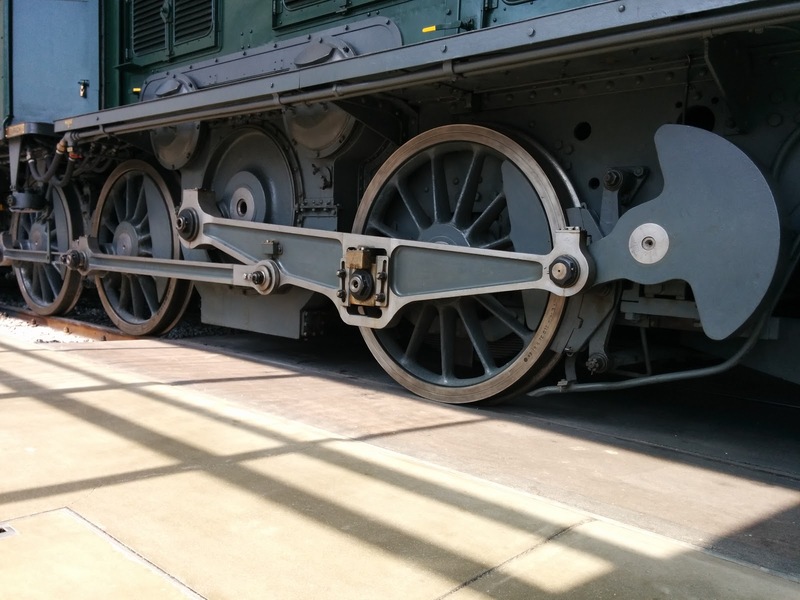 Power is transferred to the wheels using blind axles and a unique driver rod arrangement that allows each axle to move in its suspension without twisting the rods, affecting suspension of the other axles, or reducing efficiency of traction. The obvious drawback of this arrangement is how complicated it is. A later series of the crocodile (the Ce 6/8 III, prototype for a popular Maerklin model) used a simplified transmission technique ("Wintherthurer Schraegstangenantrieb"). Another variation of the theme was used in BLS Be 5/7. 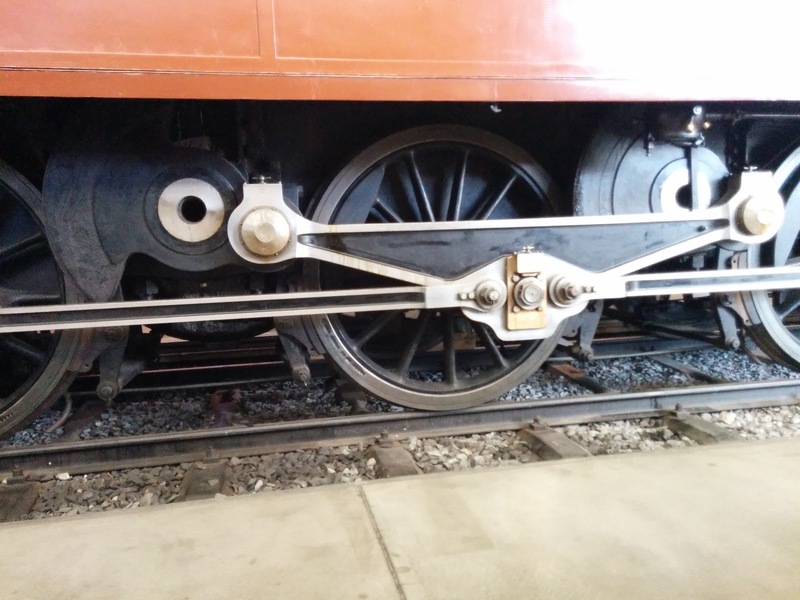 The electric motors drive 2 blind axles which are coupled to side rods using a triangular connecting rod. The "Landi-Lok" Nr. 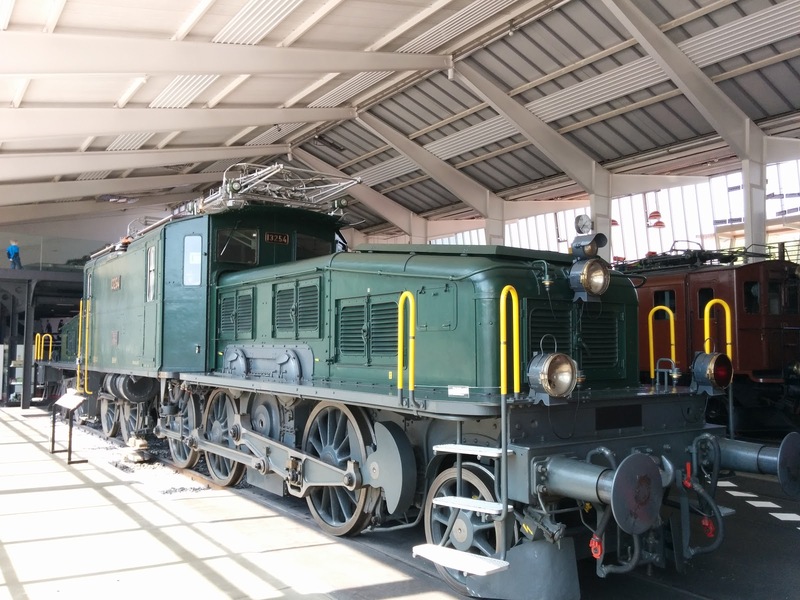 11852 presented at the national fair of Switzerland ("Landesausstellung") in 1939 shortly before World War II was a massive design and is still the the most powerful locomotive of SBB with over 8000 kW. 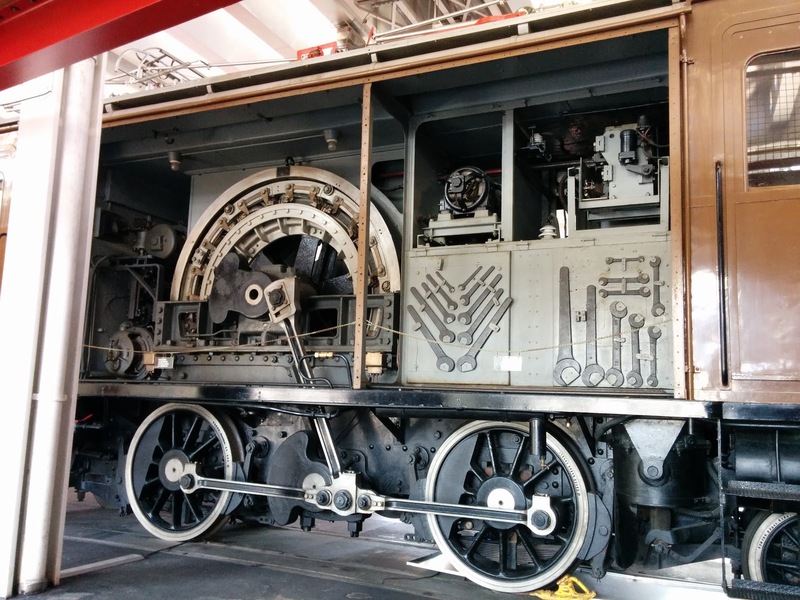 It consists of two locomotive frames coupled back to back, each containing 8 traction motors driving 4 of the 7 axles on each half. 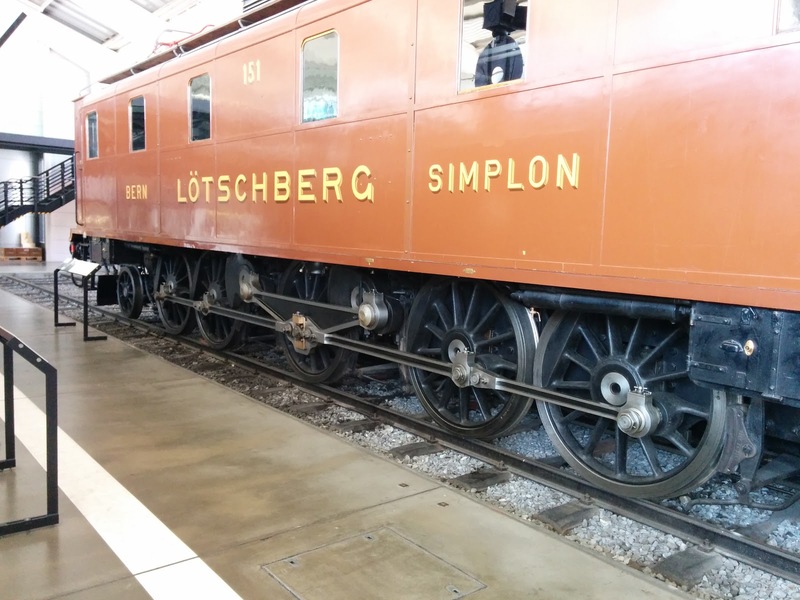 The locomotive is so powerful that SBB never used its full capabilities because it would break the train couplers. Landi-Lok. It's so big that I couldn't get a complete, unobstructed photo. 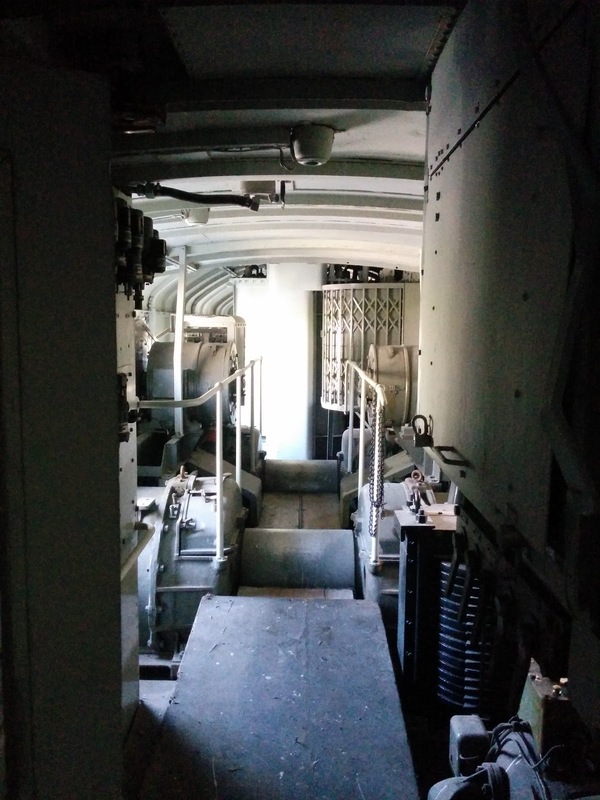 The Landi-Lok is one of the few locomotives one can go inside. The machine room with some oft the traction motors visible is impressive, but must have been even more impressive with all the machinery in operation.